Traveling with infants comes with one guarantee: excess baggage. So how do you cover the basics without packing the kitchen sink? We called up Dr. Vicki Porges of New York’s Downtown Pediatrics to get her input. A fourth-generation family doctor and mom of two, Dr. Porges shares her down-to-earth approach on everything from the sunscreen to buy to what to pack for the plane. We feel calmer already. On Medical Gear "Create a kit of over-the-counter items: Tylenol, Motrin, Benadryl, hydrocortisone cream, band-aids, waterproof band-aids, Purell (it has alcohol, so careful with kids under age two who often have hands in their mouths), tissues in case of no toilet paper in the bathroom, and antibacterial wipes." 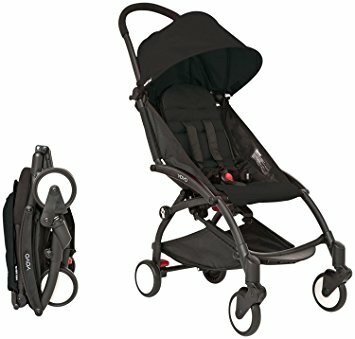 Marpac Hushh for Baby, $29.95: "So lightweight and charges via USB so you don't need to carry extra electronics." BabyZen Yoyo+ Stroller, $185: "It fits in the overhead bin so you're not waiting for your stroller delivery with cranky post-flight kids." Munchkin Click Lock Food Pouch Spoons, $11.95: "Game changers for being able to feed the baby with one hand!" For more of Henley's picks, see the ultimate packing list she shared with our favorite pregnancy and parenting website, Well Rounded.